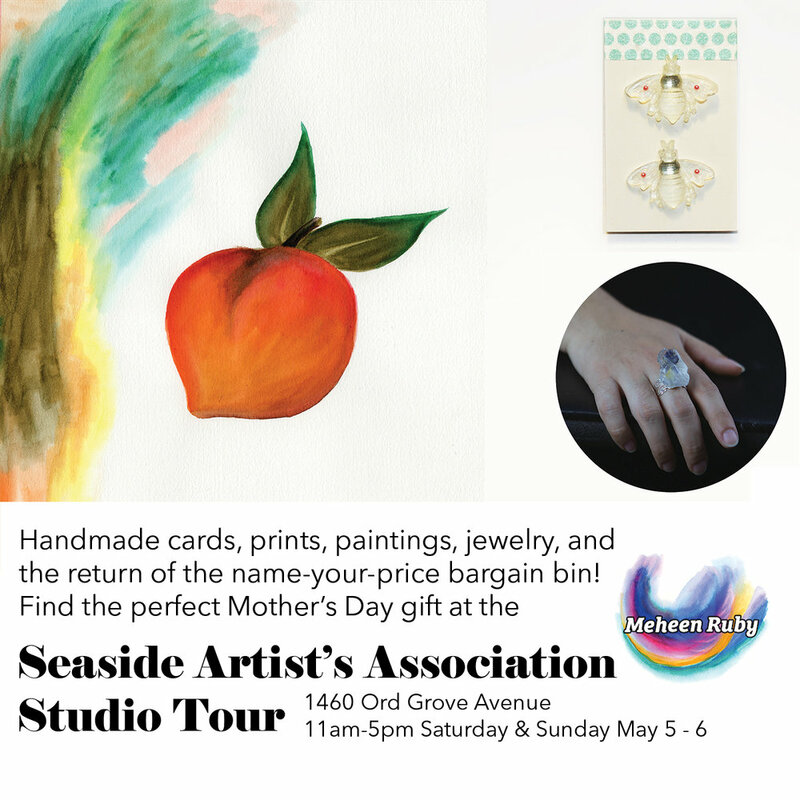 Come out to the Seaside Artist's Association annual Studio Tour! I will be sharing a space with Sandra Gray, Jan Ziegler, and Willie Ziegler. I am going to have jewelry, paintings, prints, handmade cards, bookmarks, and the return of my popular Name-Your-Price Bargain Art Bin! I am one of many talented artists participating! RSVP & see the whole list at the Facebook Event Page.